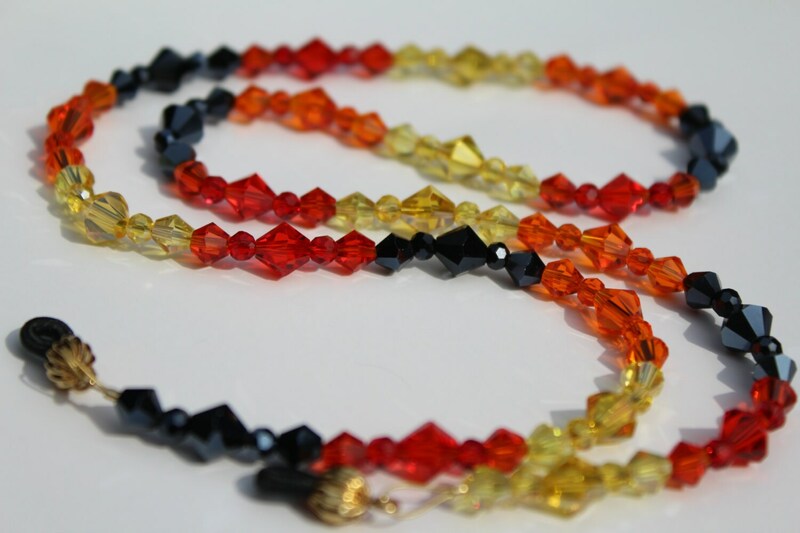 For an eyeglass chain that shines and sparkles like fire...this is the one! 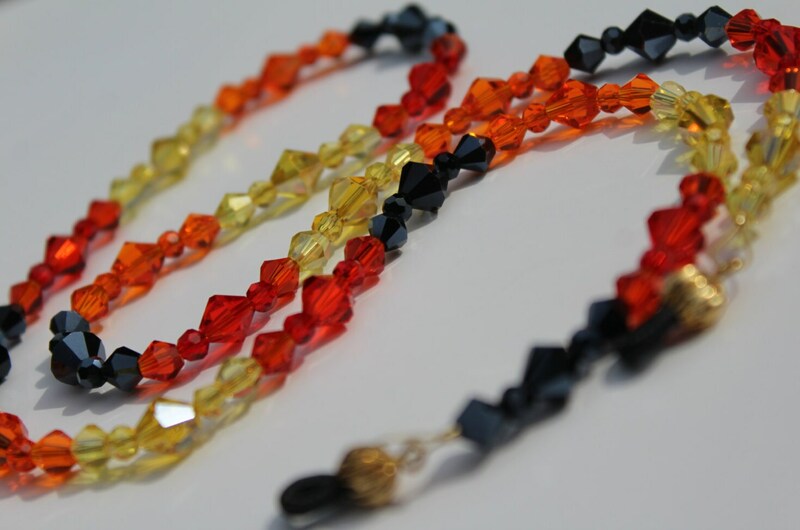 Made with bright and intense colors of fire and autumn, this eyeglass chain is sure to stun those who see it. Shades of black, red, orange, and yellow that will reflect the light and sparkle so beautifully as you move, just like a dancing flame. This eyeglass chain measures approximately 26 inches long.